7-Segment Liquid Crystal Display Driver Die Shot « Adafruit Industries – Makers, hackers, artists, designers and engineers! 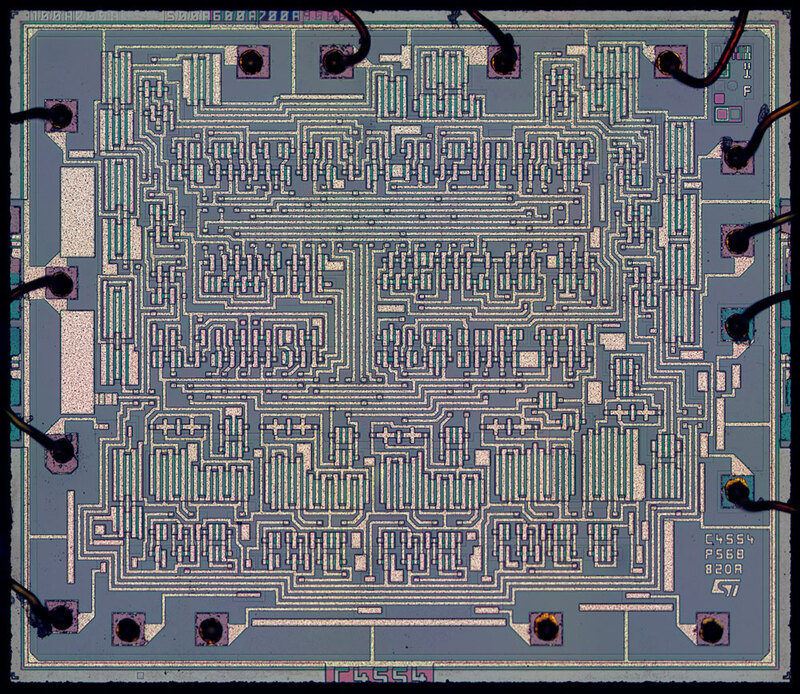 HCF4056B is a single digit BCD to 7 segment decoder driver circuit that provides a level shifting function on the chip. This feature permits the BCD input-signal swings (VDD to VSS) to be the same as or different from the 7-segment output signal swings (VDD to VEE). For example, the BCD input-signal swings (VDD to VSS) may be as low as 0 to -3V, whereas the output-display drive signal swing (VDD to VEE) may be from 0 to -5V. If VDD to VEE exceeds 15V, VDD to VSS should be at least 4V. The 7-segment outputs are controlled by the DISPLAY-FREQUENCY (DF) input, which causes the selected segment outputs to be low, high, or a square wave output (for liquid crystal displays).